The 41st President of the United States, George H.W. Bush, is being remembered at a funeral service in the Washington National Cathedral today. Bush passed away age 94 on November 30. On Monday, Bush’s body was flown to Washington D.C. via Air Force One and was laid in the Capitol Rotunda. Since then, thousands of mourners have paid their solemn respects to the former leader of the free world. 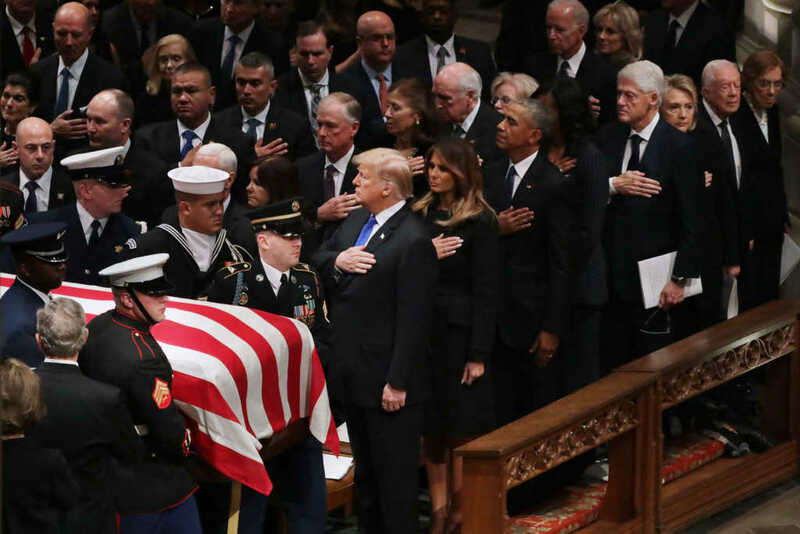 CBN Newschannel LIVE: Funeral service for President George HW Bush.